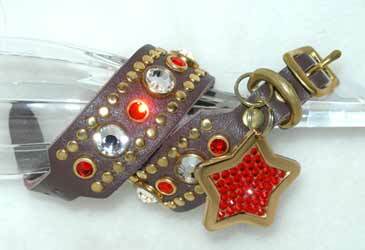 ANIMALSTARS DESIGNER CRYSTAL COLLARS: Swarovski rhinestone collars small dog and cat safety collars. smooth rings of metal attach the stones to the leather. Same leather lining covering the bezel settings on the back of the collars & bracelets. 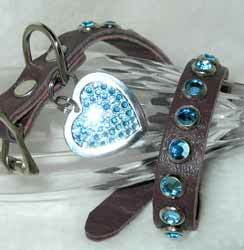 12 Swarovski® Crystal Accent colors available, use one color or mix up to three colors. 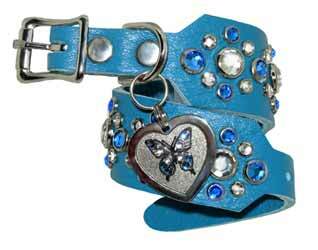 Cat version collars have a wide strip of safety elastic included. 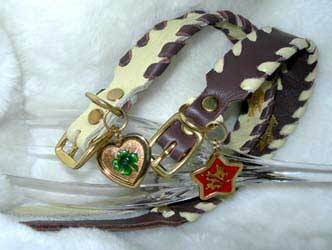 Bracelets have either buckle or leather lace closure to choose from. 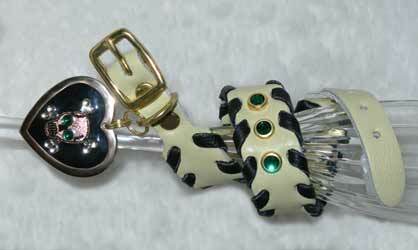 Small Lodestone wrapped in Stainless Steeel Wire with a Swarovski® Crystal accent. Earth’s natural magnet. Has a receptive, attracting energy that attracts power as well as good fortune and love. It’s positive – negative polarity is a basic stone used by crystal healers to realign energy flows in the body. This stone is a powerhouse of a protector and healer. Strengthens trust in oneself and others. 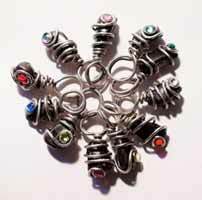 The magnetic quality attracts love, commitment and loyalty and offers relief from negative emotions. Used for recovery from medical procedures, helps with asthma, blood and circulatory system, skin, hair, muscle strains. With such balance comes a more calm and open attitude toward life and those we come into contact with. SWAROVSKI'S LARGEST CRYSTALS blazing down the middle. 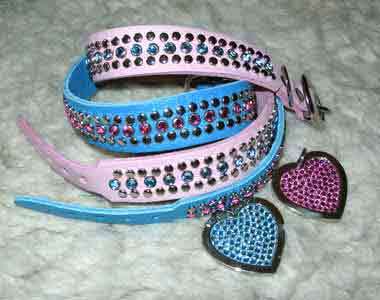 Pink Leather Gatsby with Diamond and Pink Sapphire Crystals $129.95 Diamond crystal heart tag sold seperately. 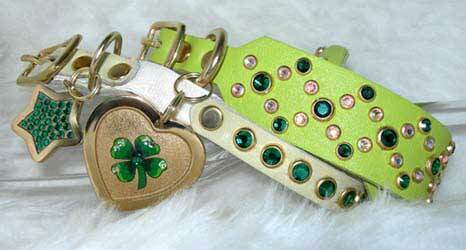 Neon Green and Antique Ivory Gatsby Collars - Bracelets in Aurora Borealis and other crystal colors $129.95 USD. Medical Tags sold seperately. 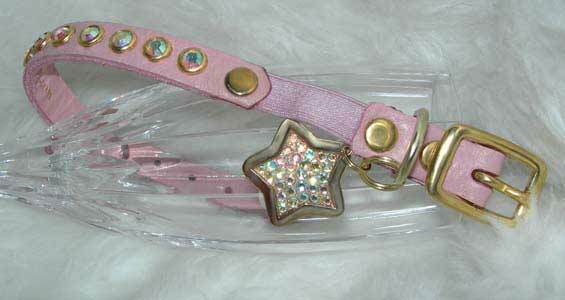 ABOVE, The 3/4 inch Crystal LONE STAR LACED OR WHIP STITCHED COLLAR, available in a myriad of color combinations. Usually only one of each, so get them while they last! 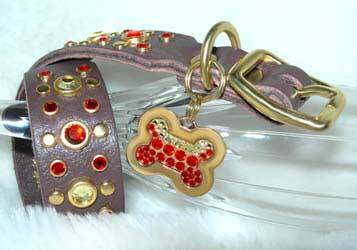 PICK YOUR FAVORITE COLLAR or BRACELET STYLE, GEMSTONE CRYSTAL COLORS, YOUR LEATHER COLOR and the HARDWARE. SWAROVSKI® CRYSTAL Accent COLORS: Diamond, Canary Diamond, Ruby, Blue Sapphire, Pink Sapphire, Emerald green, Peridot green, Aquamarine, Amethyst, Jet Hyacinth andAurora Borealis. Our matching Swarovski® Crystal Accented id tags are available in the same crystal colors and solid brass or solid nickel silver. PLEASE NOTE! 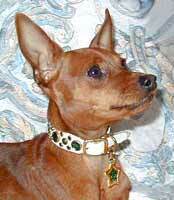 Our collars are designed to be extremely comfortable for pets and look like a million dollars. We use the softest leather we can find, no stiff edges here. 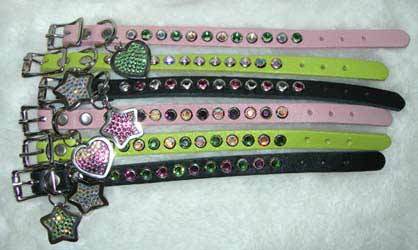 They can be worn daily on gentle pets, like cats or small dogs that do not roll in gravel, chew on their collars, go swimming or play rough with their pals...who chew on their collars. This said, there will be small and large pets that will never hurt their collars and others that are expert in the art. 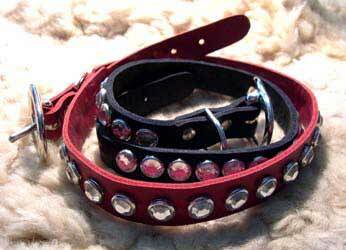 We highly recommend using a walking collar as well as changing to a collar that is built for abuse for playing and swimming. 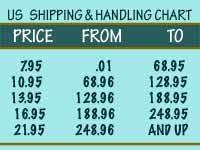 PROBLEMS MAKING AN ONLINE ORDER? FORGET TO TELL US ANYTHING? 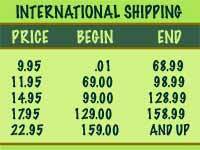 TAG ONLY ORDERS ARE SHIPPED 1ST CLASS MAIL. PLEASE CALL IN YOUR ORDER FOR A PRIORITY MAIL UPGRADE. 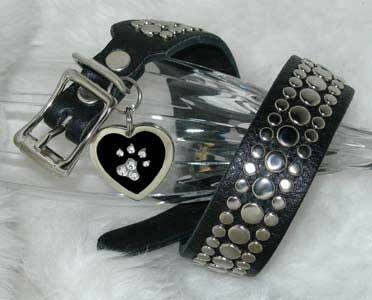 COLLAR / TAG COMBINATION ORDERS ARE AUTOMATICALLY SENT VIA PRIORITY MAIL.